So while I'm sitting around waiting for the cabinet maker to arrive and finish off my kitchen, I thought I'd try this app, Blogger for iPad. I'm already using Blogsy on my iPad which is a great app, but sometimes I just want to do a quick post and Blogsy being such a powerful app is sometimes a bit confusing for this poor old baby boomer brain. And what's a post without photos? 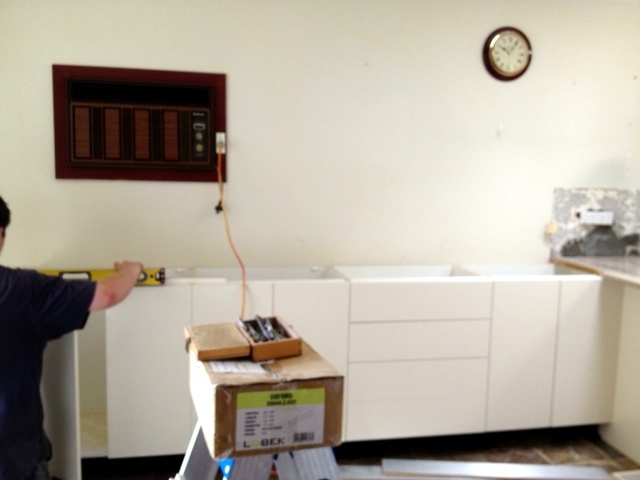 Slightly boring, so I'm going to give you a sneak peak of the kitchen progress. A lot of progress has been made since this was taken and I've even filled up a few cupboards, but I'm still waiting on some cupboard doors and quite a few handles. The splash back has been tiled and I'm really pleased with how it looks. I was worried because when I got the tiles home I wasn't sure if I liked the colour that I chose, but thankfully they look great. I have a feeling the big before and after reveal wont be until the new year. You have to change the clock ... the chook can stay. You could possibly buy me a new clock for Christmas, make sure it's nice....ok? You poor dear! 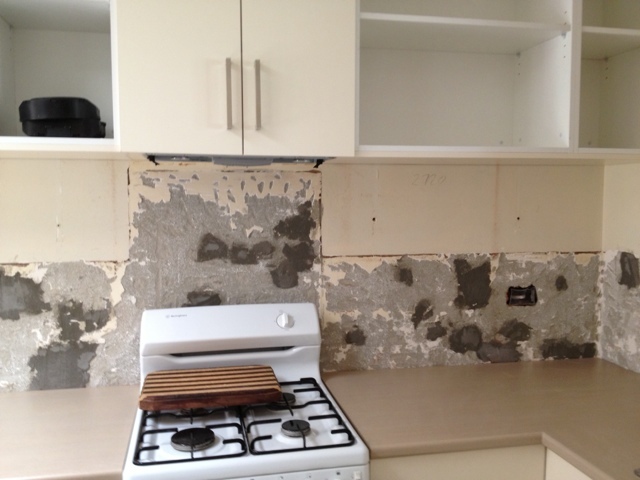 Our kitchen renovation seemed to have gone on F-O-R-E-V-E-R! But when it's finished, the whole thing will have been worth it! Can't wait to see the finished results! That's a funny dialog about the clock! Looking good! It appears to be coming along very nicely...when finished it will be worth all the effort. Merry Christmas to you and yours Davinia! You could make a new clock out of polymer. LOL.